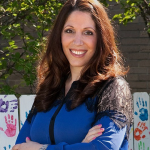 Melody Arabo is the 2017–18 Teaching Ambassador Fellow for the U.S. Department of Education (ED) and was honored to serve as the 2015 Michigan Teacher of the Year. She has been a third grade teacher at Keith Elementary in the Walled Lake Consolidated School District since 2002. She has a bachelor’s in elementary education and a master’s in teaching and curriculum, both from Michigan State University. Melody is a wife, mother of three, speaker and presenter, author, and bullying-prevention advocate. ED: How did you begin your career in education? Melody: I never planned to be a teacher. I was planning to go into marketing and advertising. I had big plans to live in a city and take a train to work. When I was 19, I found out about a paraprofessional job at a local elementary school. They were looking for someone who spoke Chaldean, which I do, so I applied and was very lucky to get the job. It changed my career trajectory. I loved the school and the principal, and really loved the kids. I quickly realized what a positive impact you can have so quickly on young learners. I enrolled in an associate’s degree program at our community college focused on elementary education and then moved to Michigan State University to complete my bachelor’s (and eventually my master’s) degree in teaching and curriculum. As a paraprofessional, I worked with kids in kindergarten through second grade, which I enjoyed. But during my year-long student teaching internship, I ended up in a third grade class. I realized I loved kids in third grade. They are independent enough to tie their own shoes and blow their own nose, but are still young enough that we can shape their learning, curiosity, and engagement. After student teaching I landed a job as a third grade teacher in the same district where I started as a paraprofessional, and have been teaching there since 2002. ED: How did you become interested in the School Ambassador Fellowship program here at ED? Melody: In 2015, I was honored to be the Michigan Teacher of the Year and spent the year working outside of the classroom. My biggest take away from that experience is that the educator voice is really lacking in critical policy discussions. I wanted to figure out how I could help increase teacher leadership and expand the role of the teacher voice in policy making. When I heard about the School Ambassador Fellowship program it seemed like a perfect next step, so I applied. The program enables outstanding teachers, principals, and other school leaders to bring their school and classroom expertise to the Department and exposes them to the heart of the national dialogue about education. In turn, school ambassador fellows are better equipped to facilitate the learning and input of other educators and community members. In 2016, I was a part-time fellow for one year. This meant that I still had my classroom in Michigan and engaged and worked with ED remotely. It was an intense year, because I was staying involved at the classroom-level while being engaged in state- and federal-level activities. I am now the lead fellow here in DC and a big part of my work is with the part-time campus fellows, located around the country, who are still working in classrooms and schools. We have a fantastic group of 2017–18 fellows and my role is largely to support and connect them to work going on here at ED. I also have the goal of strengthening ED’s outreach to, and engagement with, educators. To accomplish this, we have been hosting monthly conversations on important educational issues to engage educators in the field. For example, one of our recent monthly topics was STEM (science, technology, engineering, and math), particularly how teachers are incorporating STEM in the classroom. For each conversation, we pose a question about the topic via Twitter to generate conversations among educators, encouraging them to share examples of innovation. We then collect their input and feedback, and develop a toolkit of resources around that topic. Additionally, we are tapping into teachers by asking them to write for ED’s Homeroom Blog on each of the monthly topics. I also work with our fellows to promote and encourage teachers to sign up for ED’s monthly newsletter developed for teachers, The Teachers Edition. We have involved each of the fellows in Teach to Lead, an initiative that expands leadership opportunities for teachers and further develops their ideas. ED: What are some of the challenges you have experienced as a teacher and what strategies have you tried to overcome them? Melody: I am a general education teacher, but I am also a parent of children with special needs. Through struggling to navigate special education as a parent, I have realized that I am ill prepared to teach children with disabilities and see there is a huge need to bring the special education and general education worlds together. We really need to rethink teacher training; general education teachers need more training on how to teach children with disabilities and to work with special educators. I realize now that if I had known more about some of the best practices in special education, such as positive behavioral intervention and supports (PBIS); how to do functional behavior assessments (FBA) and behavior plans; universal design for learning (UDL); and response to intervention (RTI), I could have had a more positive impact on not only students with disabilities in my class, but could have better met the needs of all of my students. In my experience, co-teaching isn’t used widely. Children with disabilities are often pulled out of classrooms for their special services and I think that because of this we are missing an important opportunity to bring special educators and general educators together. After my twins began having challenges, I became more active in the disability community and realized how limited my experiences had been in a classroom. I never had a student with autism, cerebral palsy, or other more noticeable disabilities. As a parent, I’ve realized how important it is for children with disabilities to be included in general education classrooms and schools. As a teacher, I’d really like to learn different strategies and different techniques that would benefit all of the students in my class. I think we can do this by better connecting the professionals; it is a disservice to children to have those two worlds—special education and general education—segregated. ED: What suggestions do you have for improving the quality of early learning and education? Melody: I believe one of the most important things we can do is to raise the importance of the educator’s voice in making policy decisions. Teachers need to be part of the conversation. The educator’s voice is there but typically only in the policy discussions. Educators need to also be part of the decision-making process, since they are the ones who know what’s realistic and what’s not. I also hope that more educators will become policy makers. From the parent perspective, I think family engagement is critical and we need to do a better job making information easily accessible for families. When my kids were first diagnosed with developmental delays, I mainly relied on other parents, which was wonderful because it created a support network for us. I believe we need to do more to connect families with other families when making educational decisions—families are more powerful and informed when they are connected. My specific advice for educators interested in becoming part of important local, state, and national conversations is to start looking for leadership opportunities in your community, district, and beyond. Develop your leadership skills, brand yourself as expert in an area, and let policy makers know. For example, based on your expertise and experience you could be an Individuals with Disabilities Education Act (IDEA) expert, or a STEM expert, or an expert in best practices for increasing positive social emotional and behavioral skills. Engage in social media by following other teacher leaders, ED, state-level policy makers; develop your own website and blogs; and build an audience. It is okay if your audience is small at first, but you have to put yourself out there to engage. I really like the teacherprenuers initiative, where teachers think of themselves as innovators but also take on entrepreneurial leadership outside of the classroom. I would love for this to be part of teacher training. It is really empowering for teachers that think this way and have already begun engaging outside of their classrooms. So I encourage teachers to think like a teacherprenuer. This can be as simple as having a business card or presenting at a conference, and will begin to shift their idea of what it means to be a teacher and a leader. 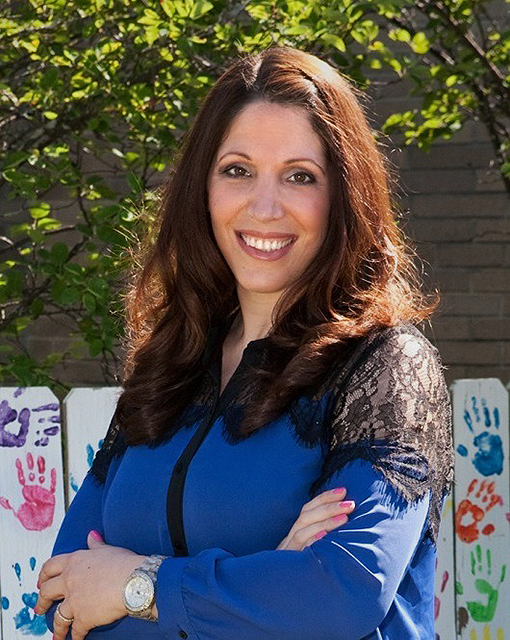 Melody Arabo, 2017–18 Teaching Ambassador Fellow for the U.S. Department of Education.